Our lower back is put to the test on a daily basis with our movements, posture, and tendency to pick up and carry heavy objects. These activities can put an enormous strain on the nerves of the spine. Lumbosacral neuritis occurs when one of these nerves becomes inflamed or irritated. 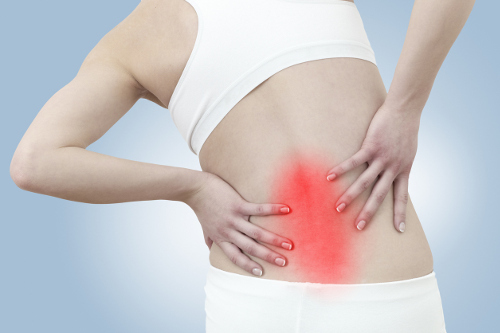 We will look at the underlying causes, symptoms, and possible home remedies for lumbosacral neuritis. Lumbosacral neuritis is the inflammation of the lower spinal nerves. These nerves run along the spinal cord within the vertebrae. These nerves are in the L1 to L5 vertebrae region of the lower spine. They run deeply with blood vessels, muscles, joints, and discs of the spine. Any irritation can lead to lumbosacral neuritis. There are three types of lumbosacral neuritis. This form of lumbosacral neuritis affects various portions of the lumbar region. It is classified as lumbar motor nerve irritation or lumbar sensory nerve irritation, depending on the inflammation. The lower extremities and lower back can both be affected by lumbar mononeuritis. It is another form of lumbosacral neuritis with the lower back sensory nerve as one type, and the other being the motor nerve. This condition occurs when the sensory and motor nerves of the lower spinal column become inflamed. It can happen to one or more of the affected nerves. The delicate nerves affected by lumbosacral neuritis may become damaged through injury or disc compression. It can occur as a result of a traumatic event or through repetitive motion over time. Lumbosacral neuritis may also occur due to internal factors. Our spine contains soft, flexible discs between our vertebrae. These discs protect the bones from friction as we move and bend. Friction over time, as well as disc movement and compression, can cause inflammation of the nerves. Compression of the spinal column can put pressure on the nerves and cause irritation. It can be due to osteoarthritis, or the development of a tumor or bone spur. Lumbosacral neuritis can occur as a result of the presence of scar tissue in the lumbar region. The tissue can become damaged by surgery, shrinking the spinal column. There are certain types of infection that may lead to lumbosacral neuritis. The lumbar nerves can be affected by hepatitis, diphtheria, acquired immunodeficiency syndrome (AIDS), and the human immunodeficiency virus (HIV). Other medical conditions, like inflammatory disorders and diseases, can lead to lumbosacral neuritis. These include diabetes, cancer, hypothyroidism, and endocrine disorders. Inflammation of the lumbar nerves can be a direct or indirect result of taking certain medications, excessive alcohol consumption, or the combination of prescribed medication with recreational drugs. Our nerves, blood vessels, and tissues depend on a well-balanced and nutritious diet to fight illness, as well as for proper body functioning. A diet lacking B vitamins, niacin, and thiamine can have a detrimental effect on the lumbar nerves. Acidosis is a condition where the blood becomes acidic. It happens from a poor diet or as a result of a medical condition. Lifestyle choices and health conditions can also promote a high increase of lactic acid in the bloodstream. It is seen with excessive alcohol use and post-heart attack episodes. With lumbosacral neuritis, there are varying symptoms depending on the severity of the inflammation. These are the main symptoms of lumbosacral neuritis. Lumbosacral neuritis can present severe pain that is localized or radiates along the sensory nerve. It is a continuous pain that can’t be alleviated with the use of over-the-counter pain relievers. The pain can be in the lower back or legs, and present as a headache. You may also feel a sharp pain or a burning sensation. The inflammation can cause compression of the nerve, resulting in numbness that may be accompanied by tingling sensations. It is usually felt in the early stages of lumbosacral neuritis. You may also experience muscle weakness since inflammation causes the nerve pathways to narrow. Lumbosacral polyneuritis often irritates nerves and causes partial paralysis. With muscle weakness, you may also experience a loss of balance or reduced muscle control. Other signs to watch for include confusion, memory loss, drowsiness, or appetite loss. Lumbosacral neuritis can only be treated by first dealing with the underlying condition that is causing the nerve damage. Your doctor may offer prescribed pain relievers for severe pain. We have listed the treatments according to the most common causes. Acidosis will require intravenous bicarbonate therapy. You may also be advised to limit strenuous activities. Diabetes stimulates inflammation as a result of fluctuating blood sugar levels. Monitoring and maintaining your blood sugar levels are key in preventing and treating lumbosacral neuritis. You can reverse vitamin and mineral imbalances by getting the sufficient amounts required. Lumbosacral neuritis symptoms can even be reduced or eliminated within an hour of consuming B1, B2, B6, and B12 vitamins. Aside from the necessary medical treatments, there may be natural options to treat and possibly prevent lumbosacral neuritis. Add spinach and raw carrots to your daily diet. Lumbosacral neuritis can reduce your quality of life, as muscle weakness and severe pain can take over your body. The nerves and tissue of the lumbar region can become inflamed due to existing health conditions, toxins, and even a poor diet. You can treat symptoms of pain and numbness with natural home remedies in many cases. Underlying health conditions and an inadequate diet need to be addressed for proper treatment.